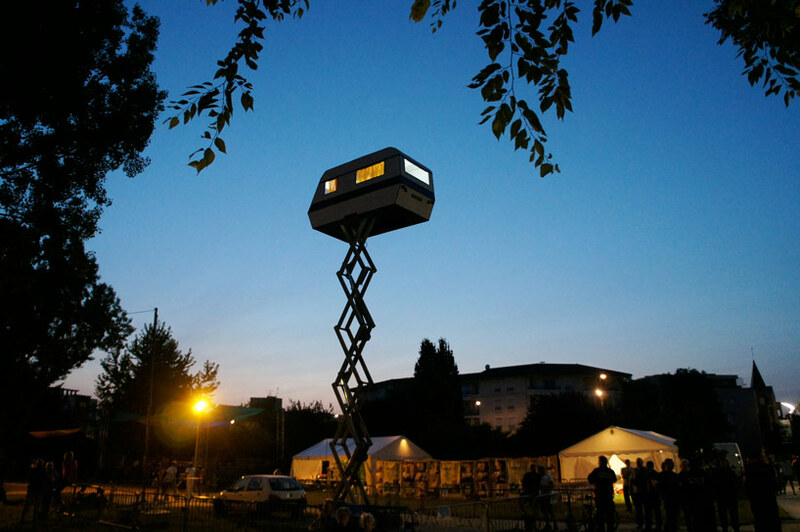 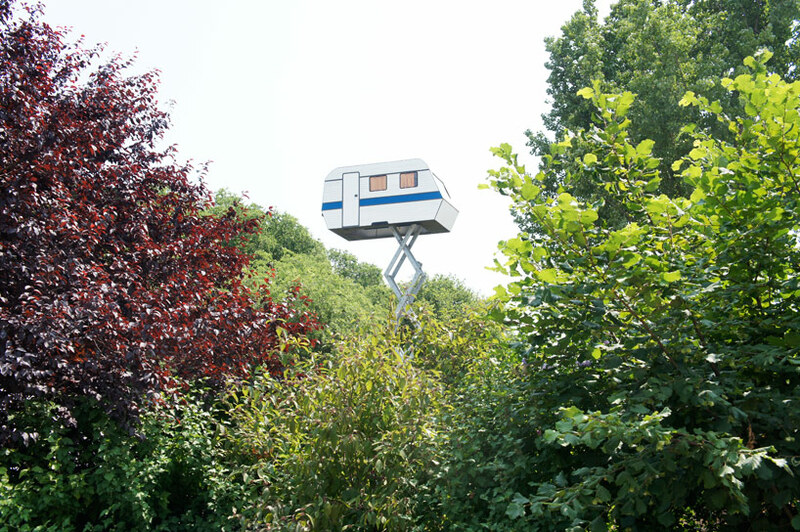 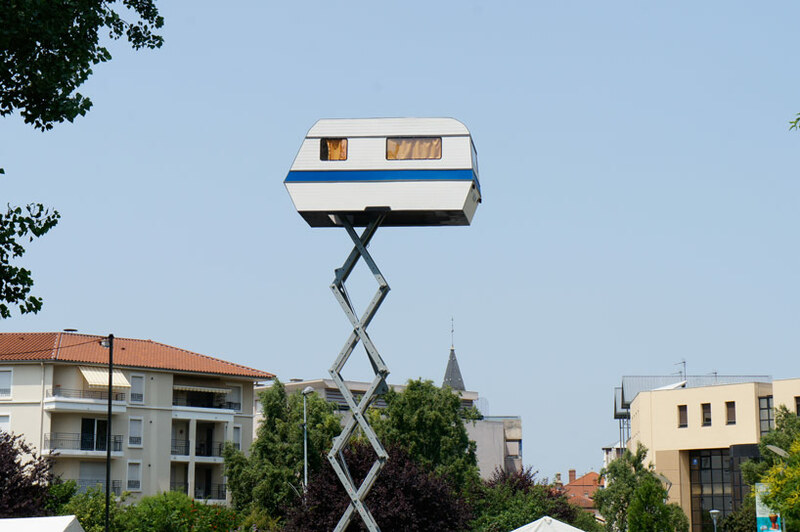 in keeping with the theme of his humorous urban interventions, french artist benedetto bufalino has sent a residential caravan soaring into the sky. 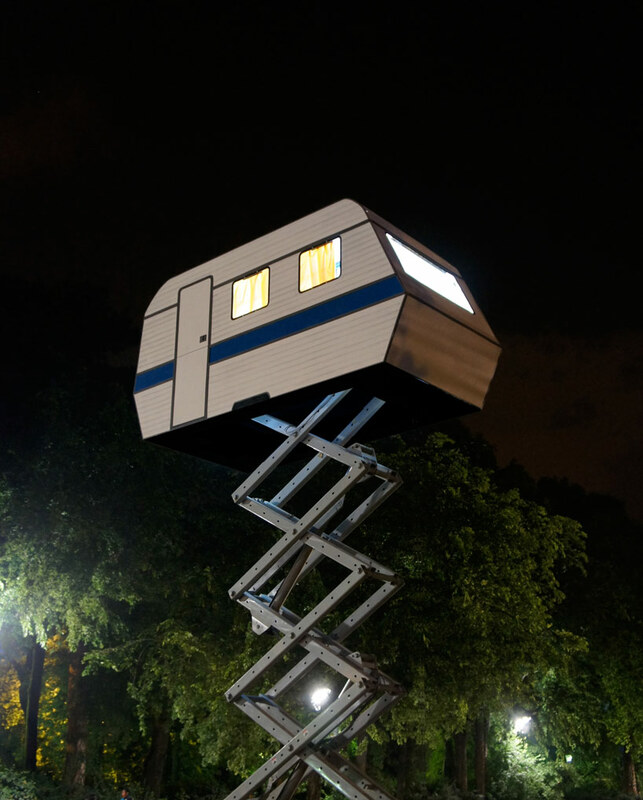 ‘la caravane dans le ciel’ is a mobile trailer situated atop a sky jack that slowly moves upwards towards the clouds. 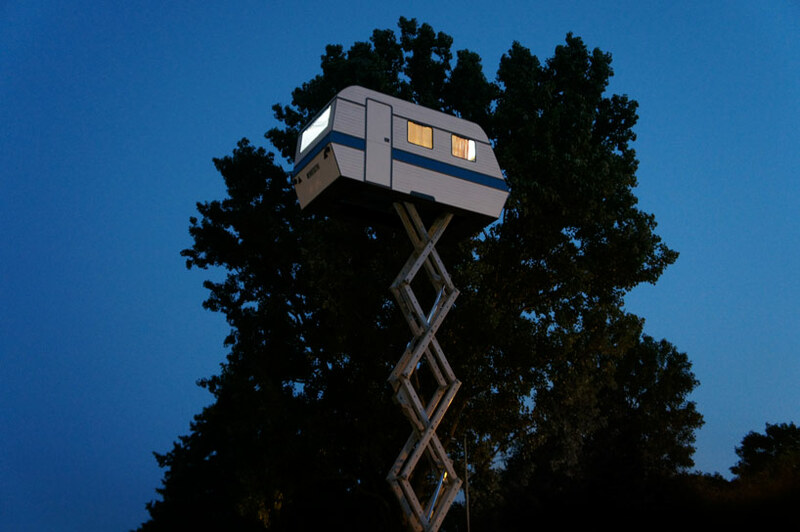 towering over trees and building-tops, the hybrid habitat is gradually lifted into the air and at night, the mysterious illusion lights up the sky with its illuminated interior windows.